Nvidia has launched a partner program that certifies colocation companies as being able to support the DGX reference architecture, its recommendation for how to deploy GPUs in data centers. The initial partners for the DGX-Ready program are Aligned Energy, Colovore, Core Scientific, CyrusOne, Digital Realty, EdgeConneX, Flexential, Scale Matrix and Switch. Nvidia said it is looking to recruit additional partners in North America, and that it plans to extend the program globally later this year. Participation in the DGX-Ready program serves as a testament that a colocation provider can support businesses looking to deploy an Nvidia DGX system, or one based on Nvidia's reference architecture, with solutions available from DDN, IBM Storage, NetApp and Pure Storage. 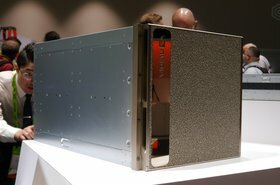 The reference architecture is based on Nvidia's own GPU cluster, the Saturn V supercomputer, which is made out of 1,000 DGX-1 servers. 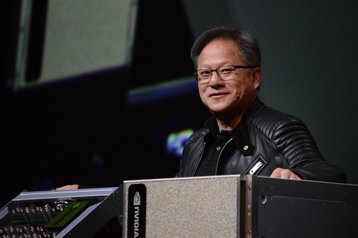 "Internet services companies, healthcare facilities, government labs, financial institutions, oil and gas businesses and more have all benefited from building and deploying their own DGX system-based AI data centers," Nvidia's director of product marketing Tony Paikeday said in a blog post. "However, for some businesses that want to do the same, a fundamental challenge exists: they don’t have modern data center facilities that can support accelerated computing operations. With the Nvidia DGX-Ready Data Center program, customers get access to world-class data center services offered through a qualified network of Nvidia colocation partners." The announcement follows underwhelming Q4 results, with Nvidia CEO Jensen Huang calling it "an extraordinary, unusually turbulent, and disappointing quarter." 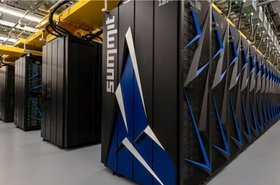 The company's data center and HPC business was also affected, with Huang explaining that "purchases can be large and are not always periodic or predictable. As the quarter progressed, customers around the world became increasingly cautious due to economic uncertainties. A number of deals did not close in the last month of the quarter."